To date, adult rats (male and female) from Wistar, Sprague-Dawley, and Long Evans strains have been used. In addition, rats as young as 10 d old have been successfully used.14 The surgery does not have to be sterile, but should be clean. The rats are anesthetized with urethane (1.2 g/kg i.p.) and placed in a stereotaxic frame. Urethane is safe for acute usage and is relatively long-lasting (no supplementation needed), but too much urethane will inhibit seizure onset.15 The animal should have sufficient urethane to reach surgical anesthesia, but no more. Other anesthetics can be used, but with caution. Ketamine/xylazine/acepromazine (25/5/0.8 mg/kg i.p.) has a relatively short duration of action and the seizure durations will be quite variable as the anesthetic wears off. This is the anesthetic that we use if we want the rats to recover rapidly from the anesthetic and we are not testing the effect of drugs on the seizure parameters. Inhalational anesthetics can also be used if the equipment is available. Barbiturates, used as anesthetics, will block seizure onset. Placement of stimulating and recording electrodes for electrographic kindling. This scheme presents the optimal placement of the stimulating electrode for the elicitation of repeated episodes of maximal dentate activation. 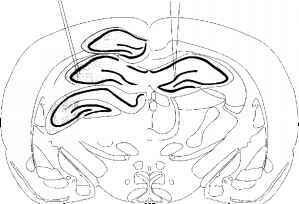 The tip of the stimulating electrode should be within the gray shaded area of one hippocampus. Three hippocampal sections (one anterior and one posterior to the main section) are presented on the left to indicate the extent of the hippocampus that can be successfully stimulated. Recording is most commonly done in the dentate gyrus on the opposite side from the stimulating electrode (as shown), but recording can be done in other areas also. Typical evoked responses in CA1 and DG. (A) A stimulus was administered to the left CA3 region (stimulus artifact is marked with an *) and the extracellular field potential response recorded in the right CA1 is shown. (B) A stimulus was administered to the right angular bundle (AB, the fiber tract from the entorhinal cortex to the dentate gyrus) while recording in the right dentate gyrus (DG). Each stimulus artifact is preceded by a calibration pulse of 10 mV. The onset and termination of reverberatory seizure activity is best determined with the recording electrode in the dentate gyrus and recording maximal dentate activation. To record from the dentate gyrus, the recording electrode is placed 2 mm lateral in the same anteroposterior plane as the stimulating electrode. The depth of the recording electrode in the dentate gyrus is determined by stimulating through an electrode in the angular bundle or entorhinal cortex on the ipsilateral side (AP -8 mm, lateral 4.4 mm, depth 3 mm, Figure 4.7). Many types of recording electrodes can theoretically be used during these experiments (ion-sensitive, extracellular field, single unit, whole cell). The most common recording is of the extracellular field potentials with DC recording. The onset of maximal dentate activation is most distinct with DC recording (Figure 4.8). Extracellular recording electrodes can be made from glass or metal (AC recording). Most commonly capillary glass is used and pulled to a tip with an electrode puller (almost any model will do). The electrode is filled with NaCl (2 M) with 1% Fast Green to give an impedance of 0.5 to 10 MQ. Generally, the lower the impedance the lower the signal-to-noise ratio. At the end of every experiment, electrode positions should be marked for confirmation of correct position by histology. Fast Green can be iontophoresed from the recording electrode (-20 nA for 20 min) and current passed through the stimulating electrode (1 mA for 10 s). The animal is then perfused through the heart with 1% potassium ferrocyanide in 10% buffered formalin (100 ml). The Fast Green leaves a green spot. The current passed through the stimulating electrodes leave either a lesion or will plate some metal into the tissue which reacts with the ferrocyanide to leave a blue spot. The brain is subsequently equilibrated in sucrose-formalin, cut on a sliding microtome, and stained with Cresyl Violet. Routine examination of the electrode positions prevents a gradual shift in electrode placement between experiments and may help determine why a particular experiment did not work as well as another. Chart recordings of maximal dentate activation. The responses to two consecutive stimulus trains are presented. In this experiment a double barrel electrode was used — one side records the extracellular field potential and the other side contains an ion-exchange resin sensitive to potassium. 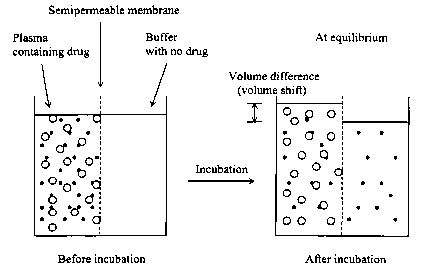 The extracellular potassium concentration can be determined from a differential between the two barrels of the electrode. In each panel the top is the field recording from the electrode placed in the dentate gyrus. The bottom record is the extracellular potassium level. Each stimulus train was 20 Hz at 400 pA for 6 s. Responses to stimuli at two different points during the stimulation are shown at a faster time scale on the right side of the figure (1 and 2). (A) The extracellular recording was DC-coupled and the onset of maximal dentate activation is defined by the negative shift of the extracellular DC potential, along with the appearance of the large-amplitude population spikes and the secondary rise in extracellular potassium (which in this case is obscured by the rapid time to onset of maximal dentate activation). (B) The extracellular recording was AC-coupled, which results in loss of one marker for the onset of maximal dentate activation — the DC shift. In this example the onset of maximal dentate activation can only be determined by the appearance of the large-amplitude population spikes. Calibrations are indicated on the chart records.